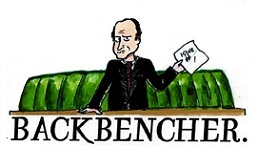 The Backbencher – Are Unions Defending The Indefensible? 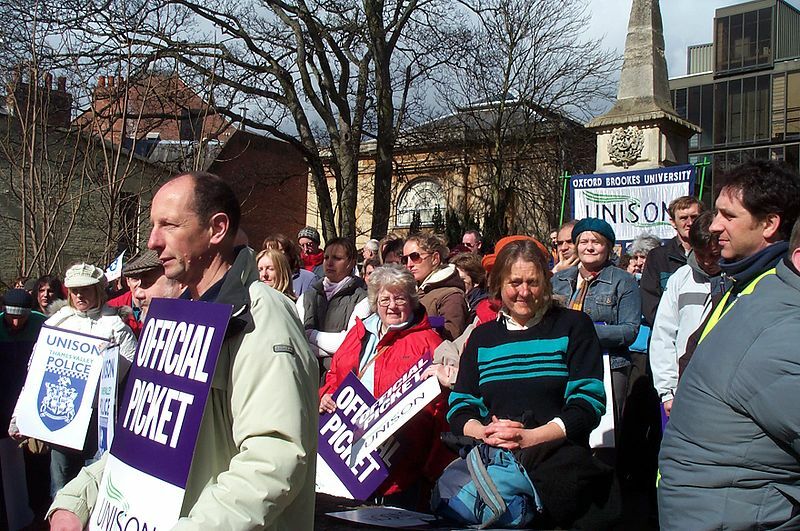 Are Unions Defending The Indefensible? Paul Parkinson examines whether trade union intransigence towards public sector pension reform is justifiable. b) NO to a “race to the bottom” when it is suggested public sector provision should be aligned with what the private sector offers. Is their assertion “reasonable” or are they “defending the indefensible”? The “gold standard” of pension schemes is the Employer Sponsored Defined Benefit (Final Salary) Occupational Pension whereby the employee receives an income in retirement the amount of which is based on their period of employed service and their pensionable salary at their retirement date. Of the total 29.7 million people currently in work in the UK, only 7.2 million are in a Defined Benefit scheme; 5.3 million of those are in the Public Sector (93% of all Public Sector workers), 1.9 million in the Private Sector (7.9% of all Private Sector workers). The obvious question is why do so few people in the private sector have access to such schemes and why have the public sector been able to retain their ones? To answer we need to look at the following factors. The majority of Public Sector pension schemes are sector-wide, so it doesn’t matter which hospital trust you work for or which Civil Service department employs you: you will be a member of the relevant sector scheme. However, gone are the days when a majority of people in the Private Sector worked for employers with large workforces. The 24 million people currently working in the private sector are employed by 2.08 million VAT registered businesses, only 0.4% of which have more than 250 employees each; in fact 88.8% of all those businesses have fewer than 10 employees each. The consequence of this development is that any employer-sponsored pension scheme realistically available to them cannot use actuarial liability formulae to calculate contribution levels which will be lower than an individual pension scheme requires. Life expectancy amongst workers in heavy industry, such as mining, shipbuilding and steel production, used to be far lower than the majority of the workforce in today’s economy, which has a knock-on effect on the cost of running a defined benefit scheme. (c) Age gaps – Schemes have assumed members’ spouses are, on average, of a similar age to the worker and calculated the potential widow’s/widower’s pensions accordingly. With the increase in divorces followed by a 2nd marriage to a younger spouse, schemes discover that they have an extended liability to cater for in relation to pre & post retirement deaths. (a) A former Conservative Government in 1986 introduced a 105% of liabilities funding ceiling to discourage companies from using pension funds as a tax shelter for excessive profits, thus forcing many companies to consider pension contribution holidays. This was particularly disastrous if the 105% limit was reached courtesy of a stock market boom and the employer company was making trading losses when the stock market fell, causing them to be financially unable to plug the resultant gap in the pension funding requirements. (b) The last Labour Government removed the “advanced corporation tax” relief facility in 1997, which caused pension funds to be unable to reclaim tax deducted at source on dividends they receive from their equity investments. (c) The Accounting Standards Board introduced regulation FRS17 in 2000 which obliged, from 2005 onwards, the value of the pension scheme be shown on the employer company’s accounts’ balance sheet + profit & loss accounts having marked to market the assets and liabilities, imposing immediate recognition of gains or losses rather than allowing “smoothing techniques” over a rolling 5 year period. Bearing all the above in mind, it would appear that the chances of the Private Sector being able to provide Defined Benefit (Final Salary) Pension schemes to the majority of people that work in it are non-existent. Even if people did manage to save into individual pensions just half the required amount, the economy would implode through lack of demand since there would be no disposable income left with which to buy anything. Pension Schemes can buy the means of production as part of their investment portfolio, e.g. buy shares in car companies, but they cannot buy the consumption – i.e. buy the cars. If you are paying 1/3rd of your income in tax and 1/3rd into a pension, trying to live off the remaining 1/3rd would be more than a challenge! So the question is: is it fair that the Public Sector should have pension schemes which it is not feasible for the private sector to provide? This is an especially pertinent question when the members of the public sector schemes only pay a fraction of the cost of the scheme, i.e. the taxpayers provide the bulk of the guarantee. I believe such a disparity in the circumstances is hard to justify.